Rice Paddy art (田んぼアート) has become increasingly popular over recent years; with tiny towns drawing tens of thousands of visitors to view these intricate works of art magically growing out of the ground. It was first attempted by people living in Inakadate, Northern Aomori, who were looking for a way to revitalise their village and attract tourists to the area. 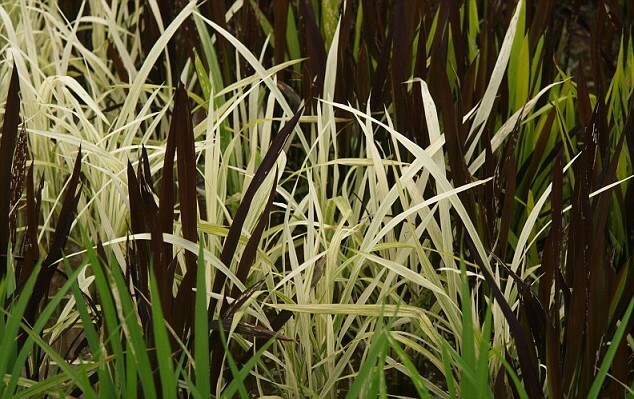 Computers were introduced in 2010 to help farmers with increasingly complex designs over some huge paddies (2,500 sq. metres). For the first 9 years one simple "View of Mt. Fuji" design was used, but since 2005 the patterns have been getting ridiculously intricate. 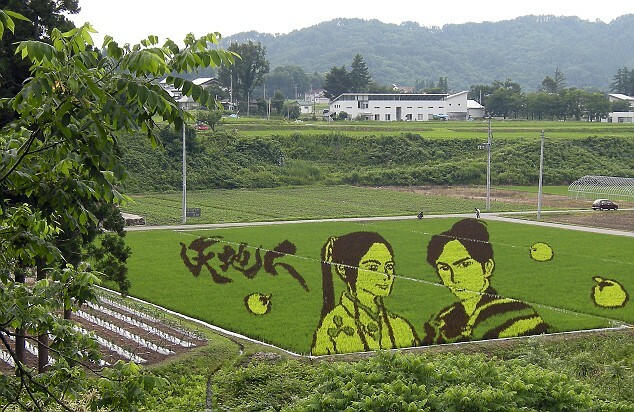 Using 4 different types of rice, farmers have been able to create (mostly imitate) amazing works of art with every harvest. 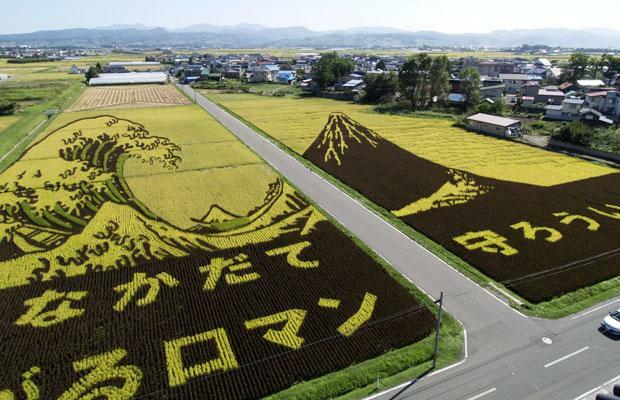 Past years have boasted awesome patterns based on "The Great Wave off Kanagawa", and even the Mona Lisa and Napoleaon have been depicted in rice form! Thanks to the tourist boom resulting from Inakadate's efforts, many other towns have taken up the practice. 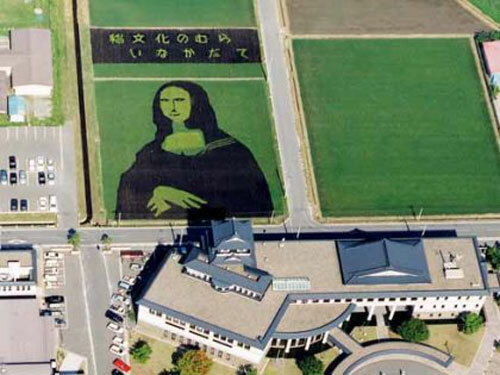 It's now possible to see this kind of art all over Japan. And here is a Time-lapse video showing the 2009 design in Inakadate from our friends at Pink Tentacle. Unfortuantly this one has a JAL advert design at the bottom. People got angry about this, however, and it 2009 was the only year it happened. Could you please tell me the design for this year's (2011) rice-paddy art? 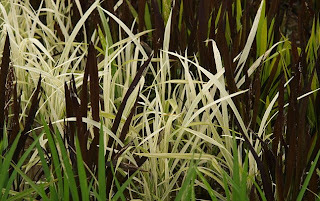 Typically, when would be the last date for viewing a rice-paddy artwork? (I'm thinking of visiting in 2012). Designs typically vary from location to location. 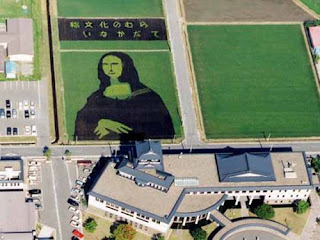 You best bet would be searching for local paddy art in the places you want to visit. Rice gets harvested around mid-September in the middle of Japan. Earlier further south and later north. So the end of August would see probably the most fully grown designs, although a little earlier may be prime (not sure how it works).